Outside the legal arena, Al is a man of diverse interests. In addition to being an accomplished guitarist, and a self-confessed bookworm, Al also owned a candy company, Love Candy, producing flavors ranging from granola to yogurt candy bars. Trial attorney Al Stewart discovered his calling early in his legal career – to help people who have contracted cancer and other serious illnesses due to negligence find justice. A former research chemist, his practice encompasses product liability actions, and cases against large companies that failed to warn users of the dangers of their products, and matters involving industrial pollution. With blue-collar roots and strong family ties to union activity, Al’s compassion for his clients comes naturally. His grandfather, who ultimately died of black lung disease, helped found the coal miners’ union in West Virginia and Kentucky. This personal fact has been a great motivator in his work. Throughout his career, Al has been responsible for significant trial verdicts and settlements. These successes have brought Al impressive public recognition from fellow lawyers on the local, state, and national levels. 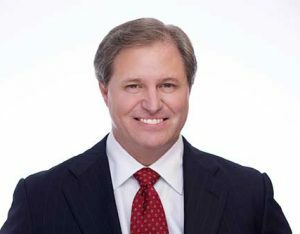 Notably, he is the only Texas lawyer – and one of just three in the country – to be included in both “40 under 40” by The National Law Journal (July 29, 2002) and “45 under 45” by American Lawyer (January 20, 2003). What Al is particularly proud of, however, is the pro bono work he’s done on behalf of nonprofits, seeking to protect them from unscrupulous leaders. Al is board certified in Personal Injury Trial Law by the Texas Board of Legal Specialization (October 25, 2001) and is a board-certified Civil Trial Advocate by the National Board of Trial Advocacy (December 31, 2002).